There are standing yoga poses, there are sitting yoga poses, there are reclined yoga poses, there are prone yoga poses, and there are some yoga poses that require the person to be on their knees. There are a lot of reasons being on one’s knees might be uncomfortable. Sometimes people just fold up their yoga mat to give them extra cushion under their knees. Some people have opted to bring in additional cushions and pads to put under their knees. 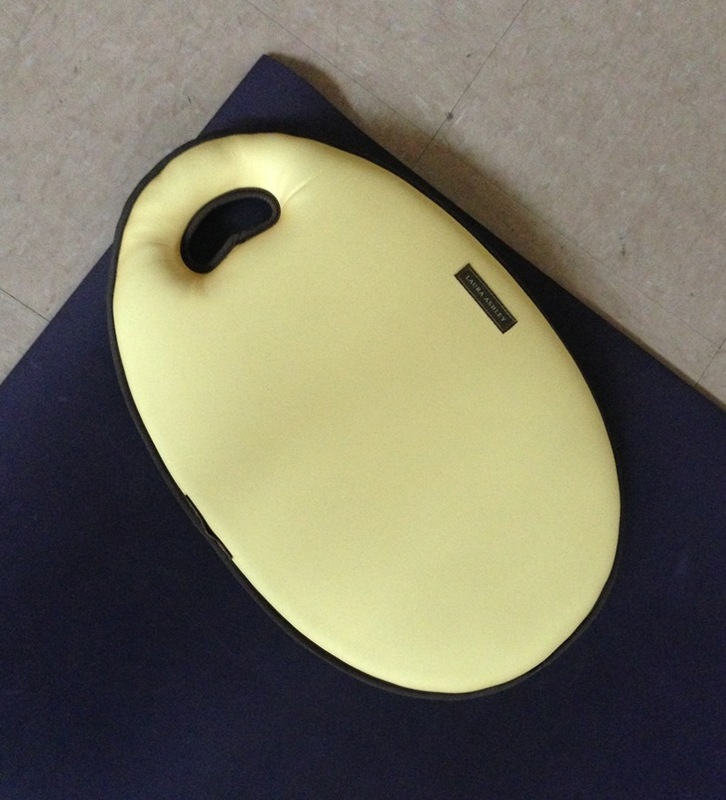 Recently one of my students discovered this gardener’s knee cushion. She purchased it on sale at Orchard’s Supply. She bought it but wasn’t sure it would work, but then after she tried it, she told everyone else about it and they all came back the next week with one. If not being comfortable on your knees keeps you from doing yoga, perhaps getting a gardener’s cushion could help. Now there is a different between “being uncomfortable” on your knees and “not be able to be” on your knees. I know there are knees out there that people are just not able to be on. If that is the case then a cushion is not going to help. This post and suggestion is just for the people with basically healthy knees that need a little cushion. This cushion is a Laura Ashley cushion but I don’t see it on her website, but I bet there are other ones out there that are like this one. It is covered in neoprene (the stuff wetsuits are made with) or something like it and it feels more comparable to a memory foam cushion then just foam or rubber. Some pads are made of form or cushion-y rubber, but this is different. So, if you are in the market for a cushion for your knees to use in yoga you might want to look into gardeners’ knee pad/cushion. Then you can do yoga and your knees will thank you along with the rest of your body. Do you like cushion under your knees during yoga?